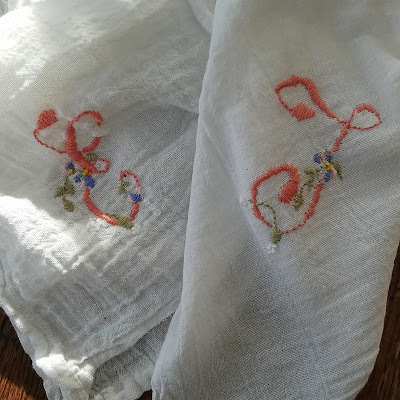 Our daughter embroidered these tea towels with our initials on them this week! I love them! So pretty! What age did you start her with embroidery? My six year old says she's interested, but I think she's a bit small yet. We've done plastic canvas so far, but I think she's feeling that's a little babyish now... Thanks!